Important note! 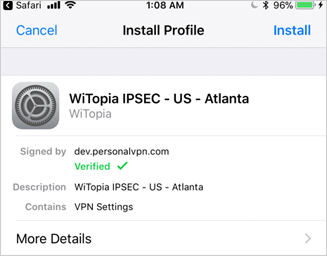 You MUST use Safari on iOS to download your profile. 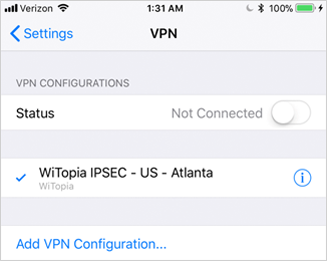 Tap Download IPSec, L2TP, or PPTP, Configuration File on the next screen. 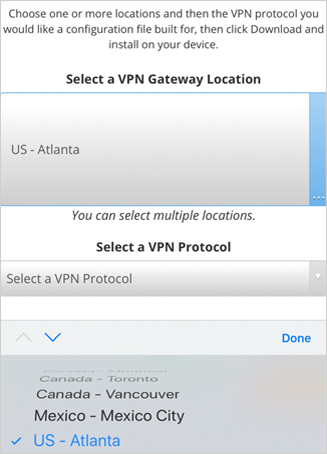 Then, tap the Select a VPN Gateway Location dropdown to select a city. In this case we’ll use Atlanta. You can select more than one at a time. 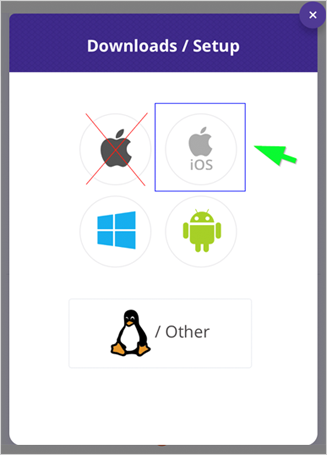 You will be taken to the Install Profile screen – tap Install. 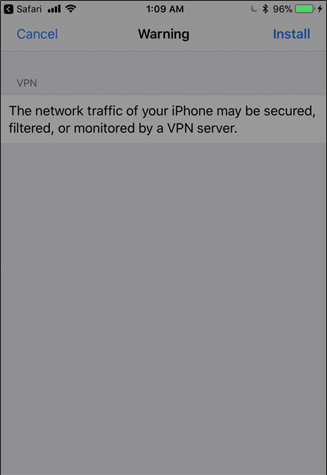 To remove the profile(s), go to: Settings > General > Profiles on your iOS device. Tap the profile you wish to remove. Tap Remove Profile in the next screen with your profile details. 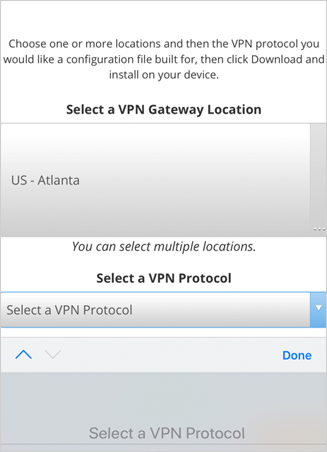 Enter your passcode if/when prompted. Note: If you see “WITOPIA_IPSEC_CA” do not remove this. 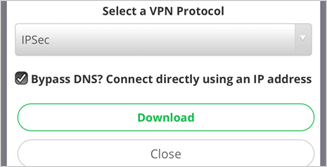 This is not your VPN profile. 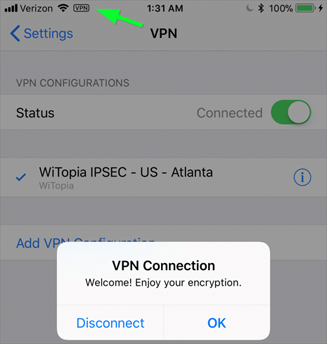 This is your IPSec certificate. 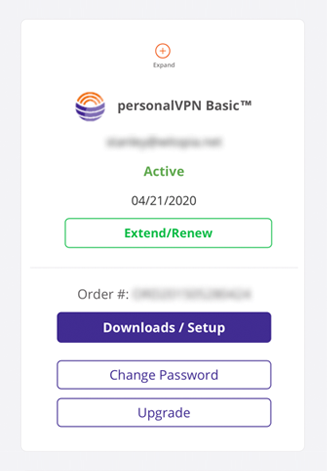 If you remove this, you will need to reinstall it to make certain types of connections.